It makes sense to have Christmas chocolate bars versus other chocolate-based products. If you live in a big city, you can go buy wonderful truffles from a variety of shops. If you don't, you're stuck with what you can buy at grocery stores and other random places. And all of that has to be chocolate with a long shelf life--which automatically rules out decent truffles. So if a company wants to be nice and get some good Christmas chocolate out to us on the outskirts, they'd better make some of it into chocolate bars. 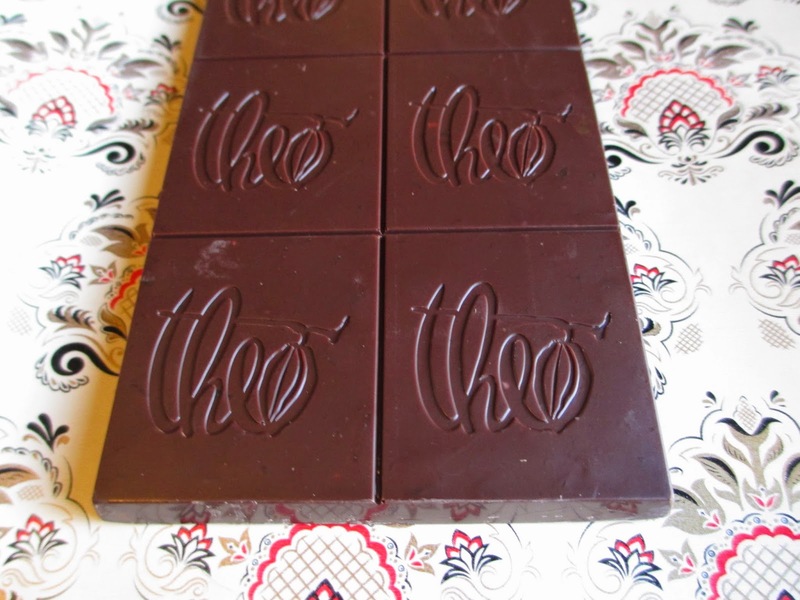 Last year, I spoke highly of Theo's Gingerbread Spice bar (click here for that review). The same store where I found that one had more of the holiday bars this year. I thought the peppermint one might be too close to a regular mint chocolate, so I chose the Nutcracker Brittle. I don't care for peanut brittle, but not to fear: this bar just has pieces of almonds, hazelnut, and sugar brittle scattered around. It's more like eating a nutty chocolate than peanut brittle, though the sugar brittle pieces do add a slightly different texture to it all. It's much the same story as last year. The presentation of this chocolate bar is about as close to a wrapped box of truffles as a chocolate bar can be (don't you like how nice it looks against the pretty Downton Abbey wrapping paper?). This would be a lovely mini gift or stocking stuffer. At 85 grams, it's a large chocolate bar, making it enough to share or to hoard. The chocolate is Theo's 70% dark, so it's a nice change away from all of the milk chocolate and sugary dark chocolates floating around during Christmas. 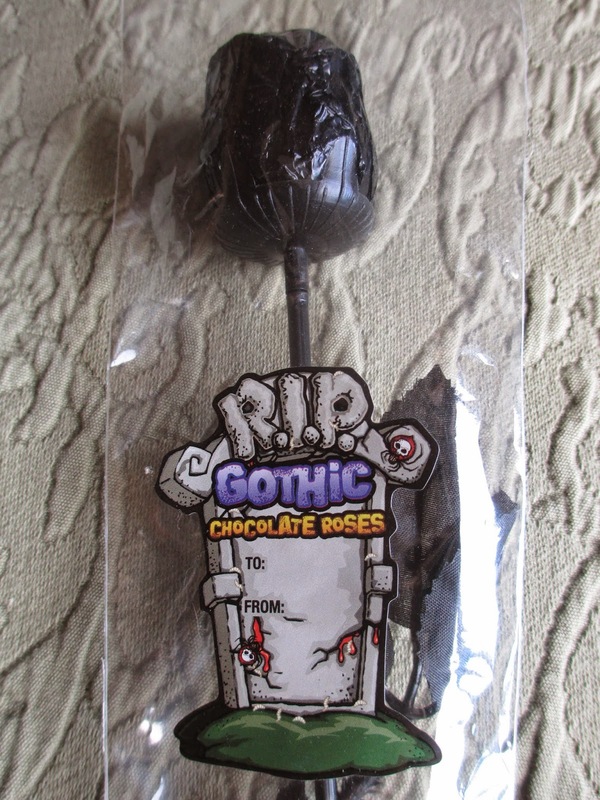 It's real chocolate, but still dressed up as holiday fun. The sugar brittle pieces are just a few steps away from rock candy bits--not enough to interfere, but just enough to make you pause and enjoy them. Normally I don't chew dark chocolate, but it's fine with such a crunchy bar as this. And we must mention the good stuff, too. I'm fond of Theo because their chocolate is good and their company is aware of ethics. USDA Organic, Fair for Life, and Non-GMO Project Verified all apply here. Even the corn syrup is non-GMO, organic, and fair trade. The sugar is cane sugar and the vanilla is ground vanilla bean--not cutting corners here. That should cover it. Theo is good, and both of these holiday chocolate bars are good. Merry Christmas Eve, all. Last October, I wrote about how much fun the Predator Zip Line at Out of Africa Wildlife Park is--and now I have gone for a second time. Now that I had done it before, I found myself braver and more excited. Even though your reaction is to hesitate each time you have to jump off one of the towers, I didn't want to hesitate this time; I wanted to show that I wasn't scared of such a thing, which I really wasn't. But stepping out into nothing, that's still the hardest part. It's just odd, against the nature of self-preservation. Then once you're flying, it's all good. Although I didn't try the full upside down bit, I did lean back and put my head upside down. To be flying through the air and see the horizon (with the Red Rocks of Sedona, no less) upside down is really quite the experience. The lions were also more active this time, which made it all more fun. They were making their territorial yowling sounds (I can't say roaring because it isn't roaring--it's more like an "auuggghh" sound). As I mentioned last time, you zip from tower to tower, so while you're waiting you can watch the animals under you. Sometimes you actually get a better view of them from the view on the ground. I was watching a lioness play with a cardboard box, walking around with it like a cat. The baby grizzly, Sycamore, was digging in his water tub. He's the height of adorable. The last tower is where you race, with the lines running right next to each other. I was on the line that ran right over one of the lions, Josiah, where he was basking in the sun. So as I was jumping off, he was almost right in front of me. It's kind of funny, jumping into the arms of a lion. I think he was watching the races, deciding who would be the most delicious. (No, not really: he was enjoying the day too much to care about us.) You can see him below me there in the picture. This really is quite an attraction. Now that they're keeping the groups smaller, it doesn't take quite as long to move through, which makes it all nicer. No getting thirsty, no wishing for a restroom break, and people who are visiting from out of town can still have time to visit the park itself. I feel so cool now that I've gone twice. Since I don't think I'll be able to watch the final installment of The Hobbit until after Christmas, I am much consoled because The Hillywood Show's newest parody also came out yesterday. That's right, they've finally realized their dream to do The Lord of the Rings. Like their Pirates of the Caribbean Parody last year came full circle because they used to work a lot with Jack Sparrow's character, the LOTR parody also finishes things off: before they ever started the show, Hilly and Hannah put together a big production of LOTR over months. Now they get to come back to the trilogy with more resources and their current parody approach. The Lord of the Rings is hard because it has so many characters, costumes, sets, and scenes. I had no idea how they would approach it, so I didn't even guess at much beforehand. Now that the video is out, it's very smart. Taking the tune from "Let It Go" from Frozen and rewriting the lyrics to come from Sam's perspective (mostly in Mordor) narrows the field while also getting right at the heart of the story. Sam is the main focus of LOTR the way that Darth Vader is the main focus of the original Star Wars trilogy: he's the one who helps make happen the events that really need to happen. So it makes absolute sense to focus on Sam. On the first watch, this video reminded me somewhat of Hillywood's Breaking Dawn (Part 1) Parody (which remains their most-viewed parody). There is humor, some parodying, but also a love of the material. That's a winning combination that is also very Hillywood. It's silly to combine Frozen with Middle-earth, yet the combination also works so perfectly to express the theme of letting go of what drags you down, of what you do not need. Bartok's appearance as Gollum is hilariously lovely, and everywhere there is such detail in costumes and other visuals. Hilly as Sam and Hannah as Frodo both gave great performances; there is such momentum in this parody. It's reliving what's important about this story--in a light and wonderful way. There is one 45 minute behind the scenes video, with another (I'm guessing shorter) one on the way. After watching the behind the scenes, go back and watch the parody again. And again. And then again, for good measure. Then make your friends watch it. Ah, I love The Hillywood Show. Oh, I do love watching things live. Plays and such. And ever since I watched their production of Pygmalion in, oh, 2008, I think, I've had a bit of a crush on the Southwest Shakespeare Company. The problem is, I still don't watch very many of their productions. (I saw A Midsummer Night's Dream earlier this year, but it seems I didn't post on it.) I have, for instance, been wanting to watch A Christmas Carol from the first year they started it. Was that four years ago? Or only three? Then, finally, this year was the year. A Christmas Carol is kind of like Romeo and Juliet--it's done so much, in so many different ways and with so many references to it, that it is sometimes overdone. But it's unlike it in this way: I think more people get at the essence of A Christmas Carol. Maybe it's just because Charles Dickens has a more direct message and Shakespeare is more up for interpretation. So Dickens created a story that has become so very familiar--and yet still so very touching. Southwest Shakespeare had an interesting production. It was traditional and simple in a heartwarming way. I think it ran for about an hour and a half, so of course it's abridged, but still with all of the basic scenes. The main angle that this play took was music. The actors enter as carolers--which makes for a nice play on the title of the story. They sing several songs throughout the course of the play, whether in the context of the story or again as introductions or during transitions. Not just live acting, but also live singing. Though they're traditional Christmas songs, still I had to admire that these actors sing so much better than I ever will. The music added an extra touch of life to it all. Ah, why don't I see more plays. What's so nice is getting to see a story that you know unfold right in front of you, to experience it anew, to see it happen. It's heartbreaking all over again to see how Scrooge has treated the son of his sister he loved so much; it's endearing to see the Cratchit family interacting; it's horrifying to see what the future can be. And it's so very uplifting to see how happiness and joy can come back into life and back into people's relationships. To all of the cast and crew, thank you for the Merry, Merry Christmas Carol. It was Thanksgiving; we were all sitting around the house, thinking that maybe it would be nice to go see a movie the next day. The Hunger Games is out; yeah, let's go watch The Hunger Games. Although I would have been perfectly happy to wait until it was out on DVD, I went with the flow. So I found myself watching part 1 of Mockingjay on Black Friday. I've referred before to my general distaste for dystopia and my mixed, often lukewarm feelings toward the first two installments in The Hunger Games. Basically, I felt like there is already so much violence and so much that is negative in the world, that why do you want to create even more in fiction? I found it all draining. Basically. But I knew that when fiction shows horrible things happening, it's to counter it with characters who are persevering through all that and rising above it. And I knew people were saying that the books show more of the thoughts Katniss has during all of these events--which can certainly change how you look at something happening. It wasn't until this third movie, though, that I began to see all that for myself. This movie was kind of poignant, something I hadn't been expecting. This movie, with as much if not more horrible events happening, actually felt less sad to me: it was about the arising of hope. Hope. That wonderful, invincible thing that can turn around any amount of chaos. This time I saw more of what Katniss was thinking; I felt closer to the inside of her head. While we'd seen her family and friends before, this time we spent more time with them and really saw what they all mean to each other. And I like the hesitancy Katniss has towards being part of or endorsing the rebellion. It reminds me of something in The Diary of Dawid Sierakowiak (non-fiction). This young man was in the Lodz Ghetto in Nazi Europe; he was very intelligent and bright. So he when he came into contact with some sort of resistance group (I forget what it was called), they wanted him to join and he wanted to also--but he didn't want to agree that, if called for, he would give his life for the cause. To him, that was contradictory to what they were trying to do: survive. That kind of reminds me of Katniss, who wants to survive and wants what's best for her family and her friends, but doesn't want to be part of a big, violent undertaking. I like that a story can show that hesitancy instead of just focusing on the rebel/resistance spirit. A picture of hope arising. That's what this movie was to me. And you know what? While I now people of different ages read these books, I've always felt too old to read them. (I obviously don't feel too old to read children's books, but I like to keep YA to a minimum.) And then once I watched the first two movies, I didn't feel any need to read them. But now I'm tempted. I really want to see how the story finishes. I was so wrapped up in this movie; it was like an eternal moment that I didn't want to end. But as much as I'm tempted, I don't think I will read the books: this story has only exited on screen for me. If I start mixing film and text while I'm still in the middle of it, I think you lose something of the uniqueness of each form. Each form is best when it can stand on its own, undistracted by the other. You know, sometimes that's just how the world tumbles. There I was, all set to give a pretty positive review of this chocolate bar when I took a moment to first visit their website. And what do I find there? News, from one week ago, that the company has had to close down due to funding issues. Well, that will make my review more glum. I can't exactly recommend a chocolate that you won't be able to buy for much longer. So if Fearless Chocolate never returns, then what I will be doing is saying what I think worked about this particular bar of chocolate. There were I think around three Fearless bars on the shelf. I'd never heard of the company, so I wanted to try something, but they were mostly superfood-type chocolates. I have absolutely nothing against eating healthy, believe me, but I don't like to eat foods just because they're trendy--or superfood. Cabbage is healthy and tasty, thank you very much. And chocolate is mighty tasty on its own, without the addition of weird ingredients to try and make it healthy. So I ignored the flavored bars for the plain one. At 75% cacao, it's a dark chocolate of average cocoa percentage. Interesting to note, though, is that the other ingredient is cane sugar. That's right, no vanilla. Most chocolate has vanilla. So if a company can pull off a great-tasting chocolate without vanilla, then their chocolate making process has things right. This chocolate is bean to bar, organic, and fair trade, made with cacao from family farms in the Mata-Atlantica rainforests of Bahia, Brazil. The company is based out of Berkeley, California. The outer card box is made of 100% recycled material, and with its simple, matte coloring, it gives off that cool hippie vibe. But once you start unwrapping, there's more color, both on the inside flap of the box and on the chocolate's clear wrapper. They're like psychedelic, flying elephants--that colorful sequence in Dumbo meets Greek mythology. 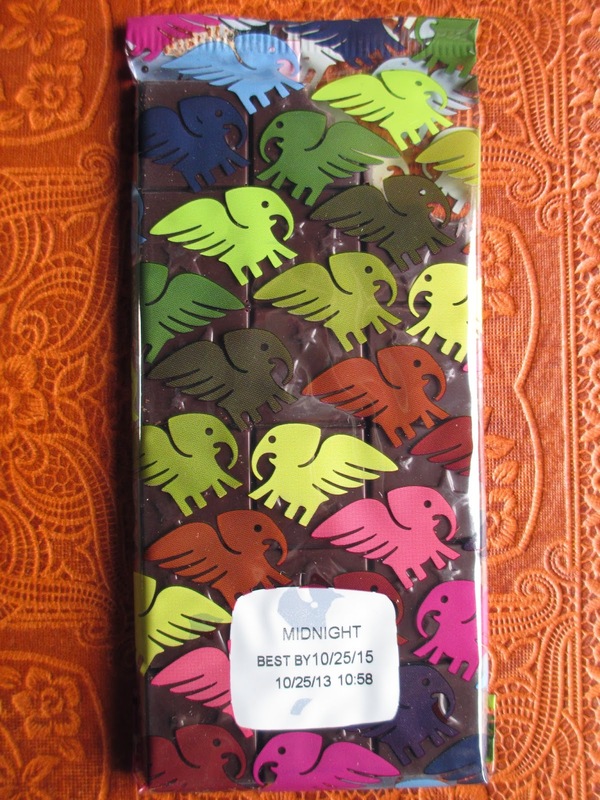 The colorfulness continues onto the chocolate bar, though in a plain shade of brown. 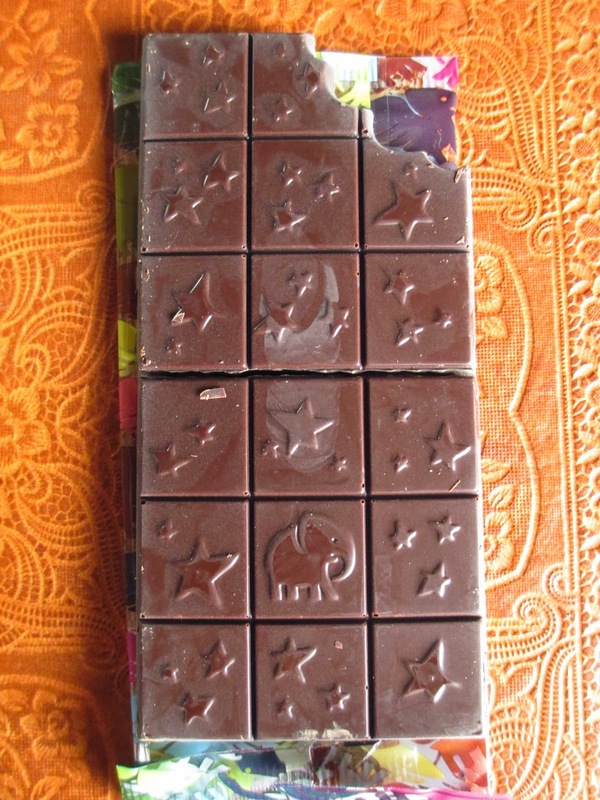 The chocolate squares are covered in stars of different sizes and one elephant towards the bottom--this time, for some reason, without wings. The bite mark out of the top the portion of proceeds the company donates to help make a better world. All admirable, but given that the company just closed, perhaps they needed more focus on their own income instead of giving donations? After all, just by promoting ethical and sustainable chocolate, you're already helping make a better world without putting donations on top of that. From the aroma of this chocolate, I was putting it somewhere in the same range as the Dark Chocolate Lover's Bar from Trader Joe's--you know, the one that kind of has those marshmallow notes coming out of the dark. But, really, there's a lot more going on than that. 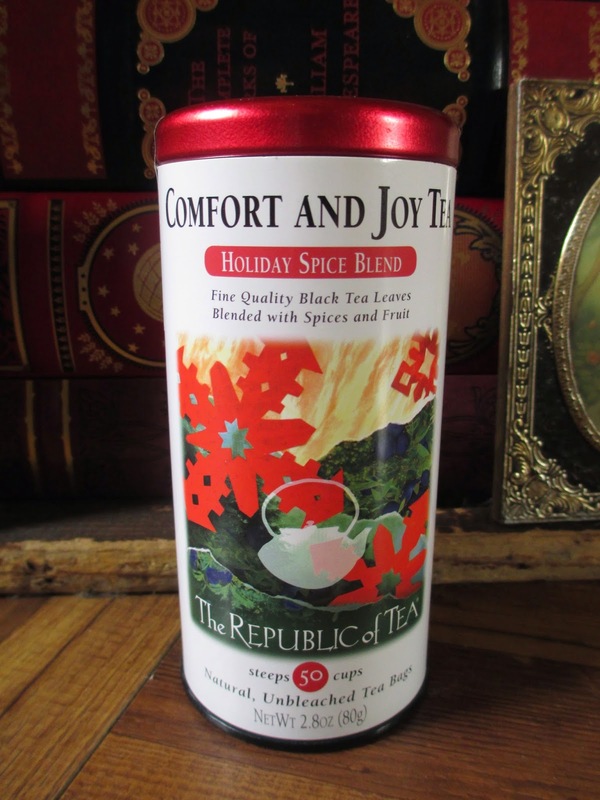 As you begin to taste, berry notes come in and the flavor becomes so tender. There was just a moment where I felt like the texture was a tad grainy, but that quickly faded; I read later that Fearless used a "low temperature environment" so perhaps if the chocolate was refined and melted at a lower temperature, that would explain any slight graininess. Going back to taste, there is no bitterness in this chocolate. Those berry notes hint at what I call brownie richness, nice and warm, although there is also something cool about the flavor of this bar. It really does have a layering of flavors. It's nice. I would recommend it if you still see it for sale anywhere. I have one final point to ponder. If anyone watched the EAT: The Story of Food documentary series recently, you'll recall something they said during the section about beer. Someone on there said that beer was the only product that you can be knowledgeable about, etc. without being snobby. That's true. There is wine snobbery. Bread snobbery. Steak snobbery. And chocolate snobbery. That's why I always try and tell people that the best kind of chocolate is the kind that you enjoy best, though I do also encourage them to taste different kinds of chocolate so that they can see what's out there and find what they ultimately do like best, apart from what marketing tells them they should like. I don't want to be a chocolate snob. I just don't like Hershey's chocolate anymore. I just can't stand overpriced, cheap chocolate when there are such amazing chocolate products out there. All of this brings me back to the image I got from this one bar of Fearless chocolate. 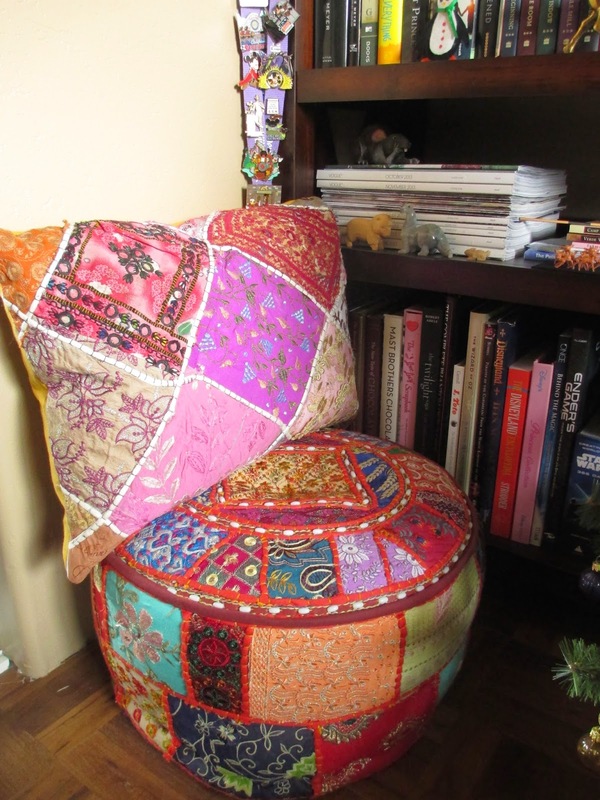 The hippie outer shell, the colorful inside. There's nothing snobby about it--and there isn't much gourmet about it. It's rustic in some ways, silly in others. It's casual. It's approachable. Yeah, they mention their ethics, but they don't shove them down your throat. Yeah, it's great tasting chocolate, but it comes in a simple, matte card box. Gourmet in taste yet approachable in design. Goodness knows I love Amano with their amazing chocolate bars in glossy boxes, but nothing needs to be like that. We could use more chocolate like this. Fearless chocolate may be gone, but they understood many of the important facets of chocolate making. You know, that's pretty good timing for my generation. People who were young when the original Star Wars trilogy came out say they grew up with it, but think about this. I'm guessing I was around five when my family bought the VHS set of the original trilogy; I watched the prequel trilogy between the ages of eight and fourteen; and this new trilogy (what are we going to call it besides "the new trilogy?") will come out while I am in my twenties. That's growing up with Star Wars. I like how they had the first trailer for Episode VII come out on Black Friday, when families might still be gathered together. My first declaration was that I loved all the sand. I have a fondness for Tatooine, the landscape and the colors and the double-sided sense of home. You think of Star Wars and (setting-wise) you don't just think of space, you also think of Tatooine. So to see all that sand, that was exciting for me. The Millennium Falcon at the end was also exciting, though at the same time as I was excited, I was trying to convince myself that I had no reason to be excited: additions to a series can include new things, too, not just the familiar and comforting things. But you know what was also the best thing about this trailer, besides the sand? Its mere existence. We've been hearing about Episode VII for a while now, but it's finally becoming something tangible. It comes out one year from now, and that's a length of time I can comprehend. Seeing the first glimpse at the footage is like finally receiving acknowledgement that this movie does exist, that all the stories about its filming are true--that it is real. It is coming. The excitement is awakening. Most people seem to still think of C.S. Lewis mainly as the author of The Chronicles of Narnia. As loved, however, as those books are and as much as I care for them, they are not always considered his best and he did write many other books, both fiction and non-fiction. The Space Trilogy is pretty good and so is The Screwtape Letters, but (other than some articles and things) those are the only other of his books I've read. It was time, I decided, to broaden out. 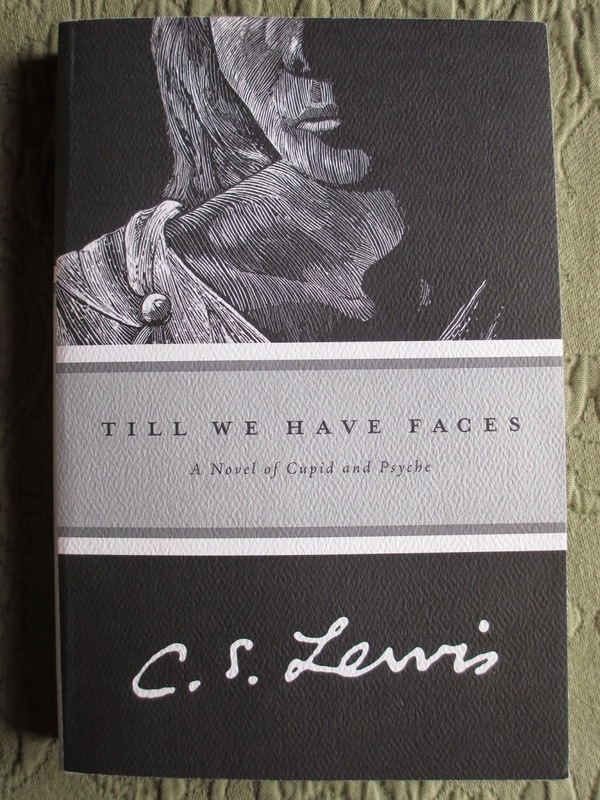 I had heard amazing things about Till We Have Faces, that it's his best book and a life-changing book and such, so Till We Have Faces it was. For some books, timing matters greatly. For some books, it seems that you loved them so much because you read them at exactly the time that you needed to read them. Your reaction to a book can be very different depending on what age you are, what you're going through at the moment, or simply where you are in life. I find myself wondering if I read Till We Have Faces at the wrong time. Did I read it too old? Or too young? Why, my question is, didn't it touch me so deeply as it did for other people? For most of the book, you know that something is coming, something to contrast with everything Orual has been saying. Because you know she is wrong. At least, you know she must be partially wrong--it's just hard to see how wrong. She has doubts about this god that has taken her sister, about all the gods that her people and other people believe in. The bulk of the book is about her doubts, about her struggle to live her life after her sister is taken from her. And then, almost at the end, comes the contrast (if you haven't read it yet, I'll leave you to experience it for yourself). And I get that. I get how, when you understand and see and accept the truth, it changes everything. Your whole life before, you understand how that was twisted or in darkness or whatever else. And I love what the title of this book expresses. That concept, which you don't get until the end, is wonderful. Till we have faces. It's very good. The answer that is in itself complete. That's very good. I like it. But the book as a whole? I don't know. I keep pausing over it. It took me longer than I'd expected to read. I moved slowly. I didn't always know why there was so much page length devoted to certain things. I wanted to get to the part I could contemplate. Why do I feel this way? (Let's also take a moment to acknowledge that, whatever great things people who've read it say about it, it's never been his most popular book.) Maybe it's the kind of book that you do just need to read slowly and rethink from time to time, reread every so often. And maybe, the very fact that I'm pausing over it instead of just saying that it was a wonderful book means that it was a good book. If it has you thinking, that's success. And maybe the structure of this book is how life is: there is bulk beforehand that we don't always want to sit through or we don't always understand its place, and then when we know the truth, all the repetition or confusion and such all fade away. Till we have faces. I wish I were going to get a free bag full of candy tomorrow . . . in costume, I could probably pass for under twelve, anyway, right? I should do that sometime, pretend I'm eleven and go trick-or-treating. Since, however, acting half my age is not in my plan for tomorrow, I have to get my own candy. One bar of chocolate that has come into my ownership is this milk chocolate from Clever Candy, distributed by Nassau Candy. 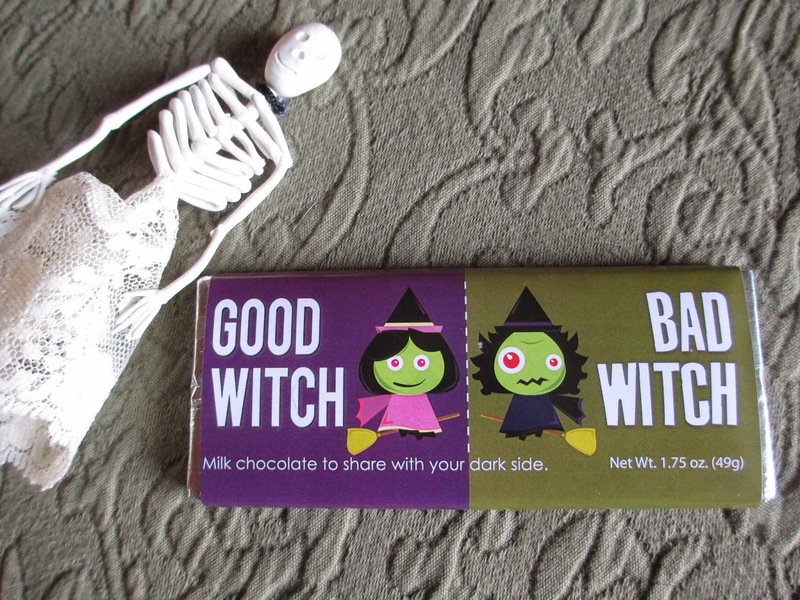 While the paper wrapper is standard Halloween fare, I'm pausing over the tagline at the bottom: "Milk chocolate to share with your dark side." On Chocablog, we used to talk about the Dark Side in reference to (usually very dark) dark chocolate. So maybe that's why it sounds odd to me to talk about the dark side in reference to milk chocolate. But I think what the line is supposed to mean is that it's sweet chocolate to bring out your good side and banish away the bad/dark side. A cute-style approach to Halloween. The chocolate is a lovely bar of ten smooth squares. While the vanilla is artificial (why? why? ), there aren't any added oils and such. It's perhaps less melty and greasy than Hershey's, but fairly akin in flavor. Those sweet caramel notes are there, but maybe accompanied by a little more of a nutty flavor than you get with Hershey's. Yes, it's still sweet and it's still candy before chocolate, but it's okay. It's okay as my version of Halloween candy since no one is going to be giving away a free bagful to me. 1) Green Purse - Another present, this purse is my oft-chosen accent color, green. Green leather, that is. It's a basic rectangular shape without frills, so that means that while it isn't quite as huge as some purses, it is big enough to hold a water bottle, a book, and a sweater all at once. It's like a miniature suitcase. Let the green take over. 2) Book Cradle - I know I'm probably a few decades too young to own one of these, but I've wanted one since college. I used to read while eating a lot (you have to when you have so many literature classes), and I still often do just because it's a nice time to pick up a book. But most books don't stay open on their own and you don't want to get food all over them, hence the book cradle to hold your book open for you while you read. 3) Dinosaur Earrings - The label called them pterodactyls, but I think they look more like pterosaurs. Either way, they're perfect. Vintage silver makes them good quality in addition to the quirky, unique style. This would be my third piece of dinosaur jewelry. 4) Chocolate Necco Wafers - Such a messy-looking picture of the corner of my desk. As you can see, in the bowl where I keep my chalk, some chalky Necco wafers also dwell. They're wonderful little things to keep at a desk. 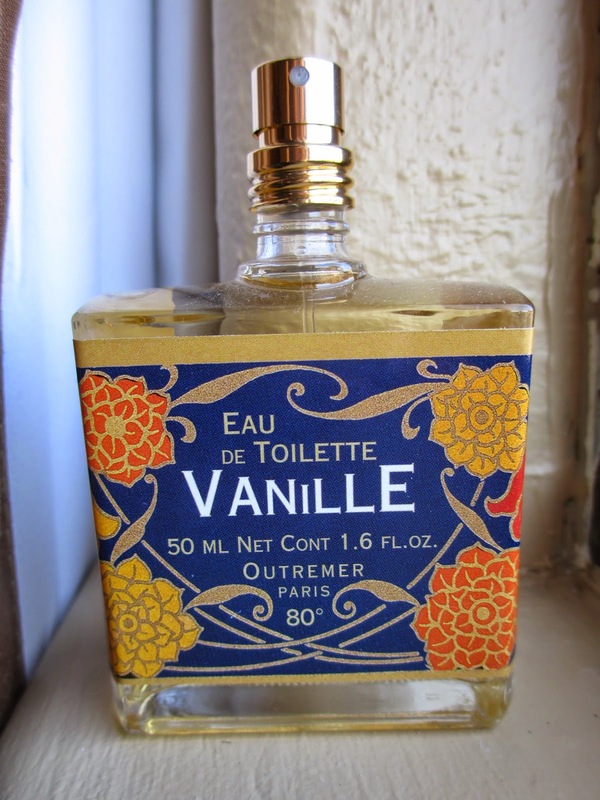 5) Outremer Vanille Perfume - I have this brand's Rose perfume, which I love. I also tend to like vanilla, so why not get their vanilla scent, too? I may end up using it more as a room spray than a perfume, but it smells lovely. It smells just like Main St., USA in Disneyland--like nostalgia and candy and happiness. 6) Disney Vile Villains Jelly Beans - Last year, I think I got the Evil Queen packet; this year I chose Hook and Maleficent. I pretended they were decorations for most of the month, and now it is time to eat them. I do love candy. 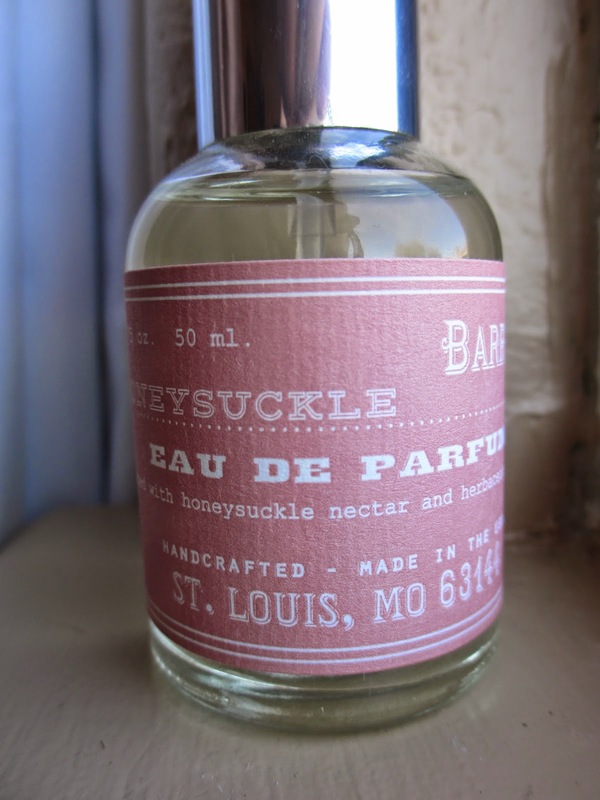 7) Barr-Co. Honeysuckle Perfume - I also love perfume, apparently, though five years ago I didn't own a single bottle. The label says it's "honeysuckle nectar and herbaceous greens," but I wouldn't say it's a single scent Honeysuckle perfume the way that Outremer makes the Rose perfume. It feels like there's another floral scent in here besides honeysuckle, something that makes it less sweet and a little more, maybe woodsy? Still very pleasant. 8) Selfie - I don't watch a lot of (modern) comedies, but I had been seeing the commercials for Selfie and since I'd watched so much of Karen Gillan on Doctor Who, I thought I'd watch an episode just to see what it was like. Turns out, I kind of look forward to seeing it each week. It's quirky and cute and also thoughtful, commenting on social media/technology and social interaction. I love that it takes some inspiration from Pygmalion (or My Fair Lady, the botched-up musical version), a play with which I was rather obsessed for a while. 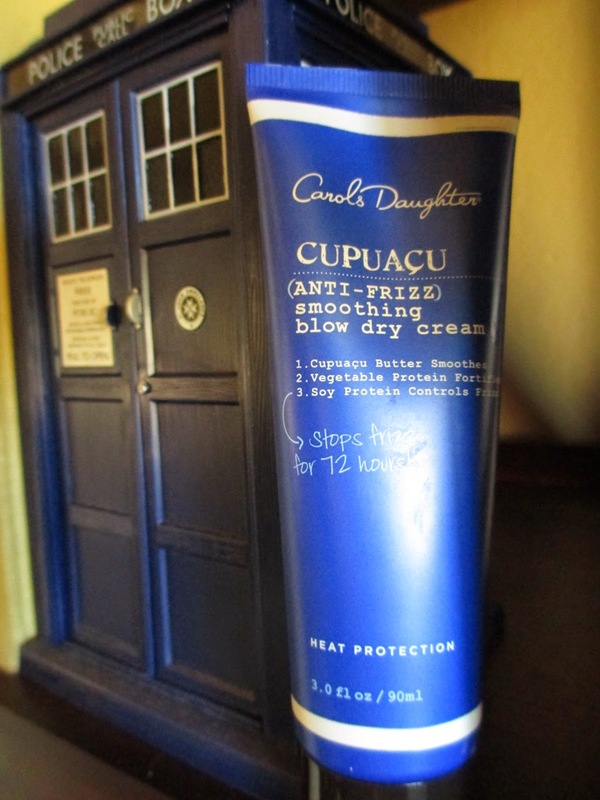 9) Carol's Daughter Cupuacu Blow Dry Cream - I used to use the Chocolat blow dry cream, but now it's only available online. It would seem, though, that this one is basically the same. It looks the same, smells the same, and works the same. Since I have such long hair, it only makes sense to use something to help protect it--and make the blow drying go a little bit faster. 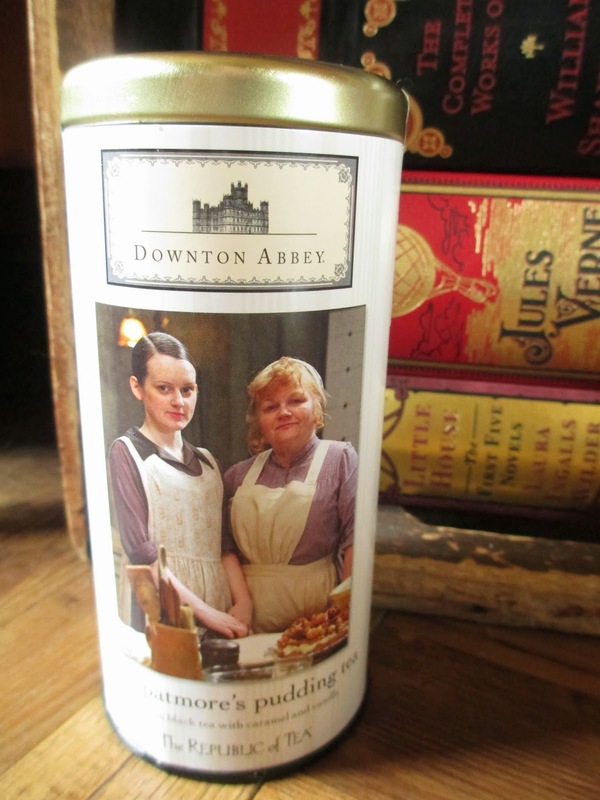 And since it's Carol's Daughter, the ingredients are a little more natural than with other brands. 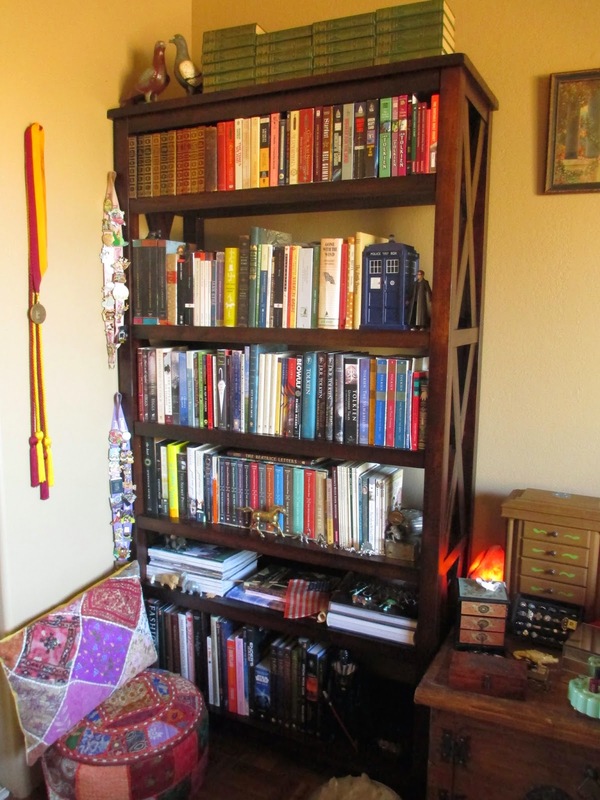 10) Verona Six-Shelf Bookcase - I had been without a bookcase for years. Finally I made it a priority to get one, though of course one case is not nearly big enough for all my books. This one is from World Market, and it's a pretty good price/quality ratio. Though it comes with some sort of finish, it is at least some kind of solid wood. 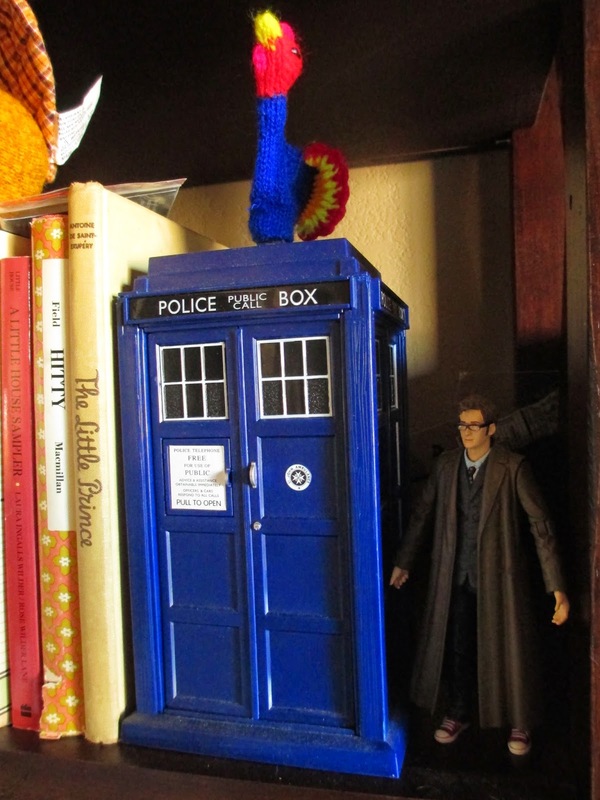 It's tall and wide, with six shelves (sometimes shelves of this size only have four). I had forgotten how nice it is to actually have books in a case. Click for my thoughts on Just One Day and its sequel, Just One Year. For the most part, I enjoyed Gayle Forman's two book set, Just One Day and Just One Year. It was a love story, but also a story of self-discovery and identity. The two books complemented each other well and they told everything about the story that needed to be told. But at the same time, when you reach the ending, you want just a tiny bit more. You want confirmation of what will happen in just the next hour or day or so, just that. So that's where this ebook-only novella comes in. Just One Night. Although that title goes along with the "Just One" trend of the two full books . . . I'm not a big fan of it. Again, it sounds not just like a love story but like a romance--which is maybe what this novella morphs into by the end. A tad too much, I would say. Amazon says it's about 43 pages, so it is short. I wouldn't call it so much a novella as an epilogue. You have to think of it as an epilogue, not as a stand-alone story. Stylistically, it's a little problematic for something so short. Or maybe it is problematic because it is so short; I don't know. But while the two books were told from the first person, this one is from the third person and it switches (sometimes rather quickly) between persons. It isn't just Willem and Allyson, either; we also hear from the other characters, and it's kind of a lot for just one short space. The words don't always flow as naturally as Gayle Forman's writing usually does. And given that she has such a talent for beautiful writing and expression, that's a bit disappointing, even for "just a novella." But all my complaints aside, it was nice to have just one last moment with these characters, just one last glance to see that they were happy and ready to move into the future. To know that they had grown throughout the space of pages and that they were going to continue to grow and to do and to live. After all, it is "just a novella." I have a weakness for containers. I know this; I try to combat it. 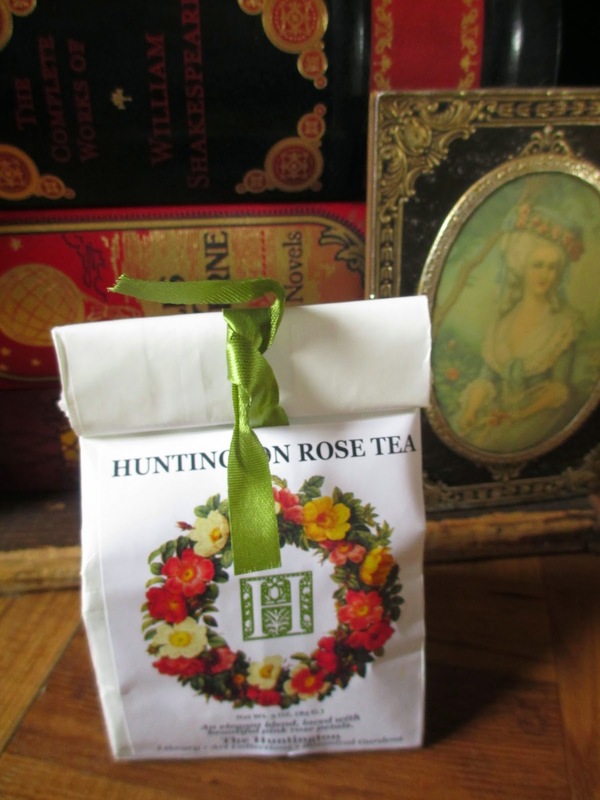 When I was choosing some tea at one of the gift shops in the Petrified Forest last month, I kept myself from getting the one that came in a (somewhat flimsy) little wooden box that I knew I didn't need. But when I saw this tin of cacao nibs from Simon Coll, well, I pounced on it. Isn't it so gorgeous, though? A white base holds the trunk of a cacao tree on the back, with its vines spreading to the rest of the tin. They're all covered in red and yellow cacao pods, and there's even a green bird off to one side. The lid and bottom of the tin are dark brown. Perhaps even more than a bar of chocolate's wrappings, it matters that a tin like this be good-looking. Something like this you can carry/keep with you in your purse, briefcase, car, desk, or wherever. (I am a big proponent of keeping candy and chocolate at my desk, though I remain quite a thin person.) So if you're carrying something around, you want it to look nice. I never have much new to say when reviewing nibs. They're either good or not, and then there is nothing more to say. These nibs are covered in 70% cacao chocolate grown in Ghana. While I realize that 70% isn't usually considered sweet, in terms of nibs, this chocolate gives sweetness to the overall effect. Nibs are, of course, pure cacao with nothing added to them, so they are not sweet and they are quite strong (not just in taste, also in terms of how much of a chocolate hit they give you). So they're more pleasant coated in chocolate. I want to say the ration for each piece is half nib and half chocolate; you really get a chance to taste both. First your teeth softly sink through the chocolate, then they hit the cacao nib. Nibs have wonderful texture, absolutely distinctive and not quite like anything else. It's lighter than the crunch of a nut, but also more jagged. The result? A sophisticated desk or purse snack. 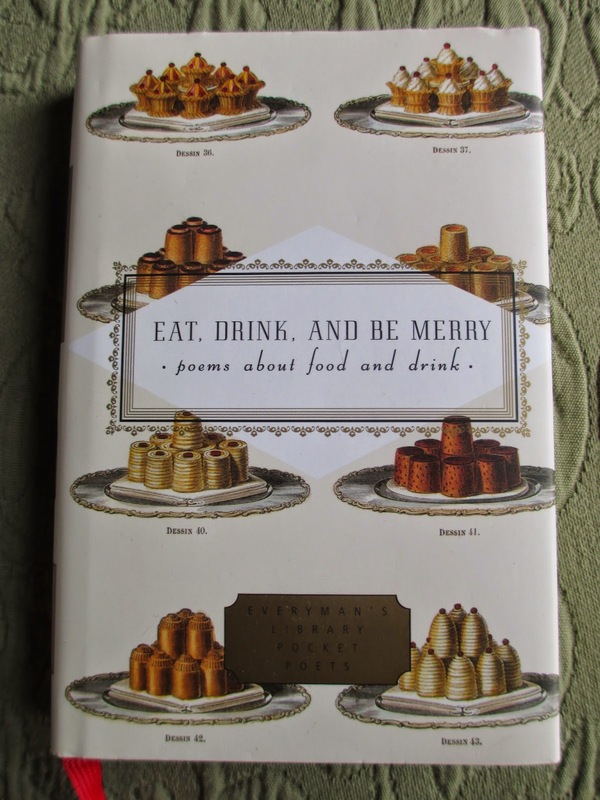 And Simon Coll makes a nice tin of just such a chocolate hit. That makes my third product from this company a third success. Click here to read my thoughts on the first book in this set, Just One Day. I have one thing I must set straight before I proceed: I don't like the cover to this book. 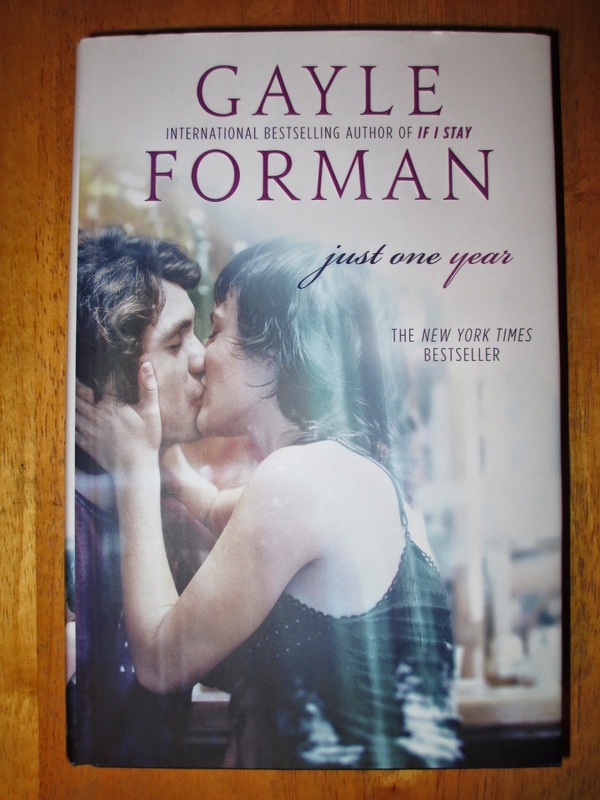 Gayle Forman's book covers tend to be nice-looking, but this one doesn't make sense. Besides the fact that I feel odd with a book that has two people kissing on the front (what is this? 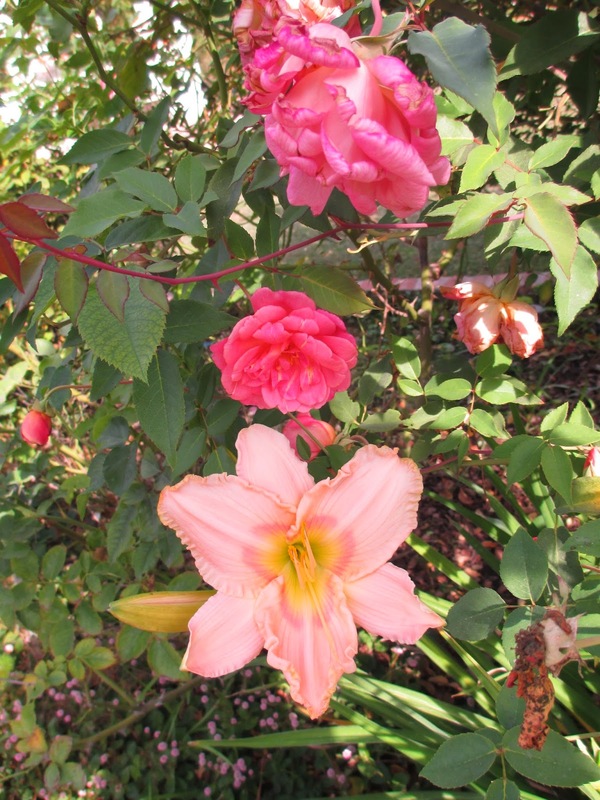 a dime store romance? ), the picture doesn't match. Willem doesn't look like that. And Allyson isn't dressed like that. Just to get that out of the way. As I mentioned last week, I enjoy Gayle Forman's writing and I enjoyed Just One Day. Now here is where I stand with its sequel, Just One Year. If I had read them with more space in between, I might have been tempted to compare them, to say which one I liked more. But I think the way I read them, one after the other, is the way that makes most sense: these are companion stories. Given that they cover the same timeline, that statement is more true than it is for many other books that come in pairs. The first third of Just One Day sets the stage for both these books and they both move on from there, complementing each other as they go over events that are both different and exactly the same. There are many of the same themes in this second book, themes about identity and projected identities. There is more about travel. But there is also quite a bit about loss and the aftermath of grief. The themes about family and friends are still in here--but they're a little different because they're applying to different characters in different situations. I keep on thinking about the "time is fluid" concept. That's how I feel when I'm reading these books. I forget what time it is. I forget where I am. I forget that these are books, characters. I feel like the months of their lives are a single moment, a single moment traveling away from and toward something, the same thing: resolution. Both books are about a single moment that sparks a journey toward resolution. It's the journey, really, that matters, but the resolution (that is, the love story part) is what helps make it enticing and come to a satisfying ending. Well, sort of a satisfying ending. I am only satisfied by this ending because I know that tomorrow I will read the ebook novella that finishes off the story. Given the way that these two books work as a pair, it seems fitting for them to end with just one last moment, one last picture. So is this the kind of thing rich kids grow up with? BabyLit? "A fashionable way to introduce your child to the world of classic literature." This is not an abridged version of Jane Eyre, but rather a counting primer under the header of "Little Miss Brontë." The text is by Jennifer Adams and the illustrations by Alison Oliver. I have no business owning a ten dollar, children's counting primer, but you know that I can't resist collecting copies of Jane Eyre--and a children's counting primer? That's so random that it's fascinating. The little blue book has twenty pages. On the left is the number and the thing(s) that it describes; on the right is a picture of whatever you're supposed to count. It starts off with one governess and goes on to count things like the towers of Thornfield Hall, the chalkboards that Jane uses to teach Adele, and the pearls that Rochester gives to Jane. It's strictly a counting book with no plot, but by using familiar things from Jane Eyre, it is almost like an extremely abridged version of the story--if you already know the story, that is. If you don't, then once you finally read it or watch a movie version of it, some of it will already be familiar. And that is, it would seem, the intention of this book series--to get children familiar with the characters and places of these classic stories. It's strange that something so very simple as a counting book can still bring back memories of one of my favorite books.